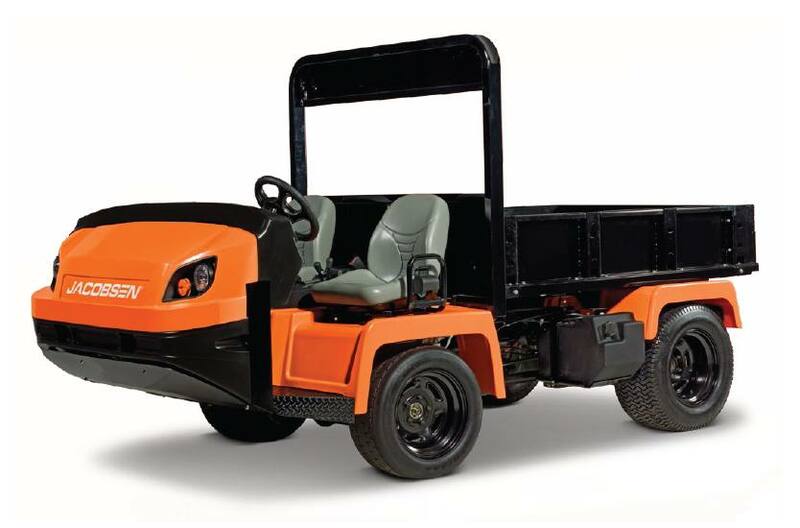 The all new Truckster XD by Jacobsen is a true heavy duty utility vehicle. The Truckster XD has the largest standard payload capacity, a rugged and durable box made from thick 12 gauge steel, and is paired with the most powerful diesel Kubota engine available. 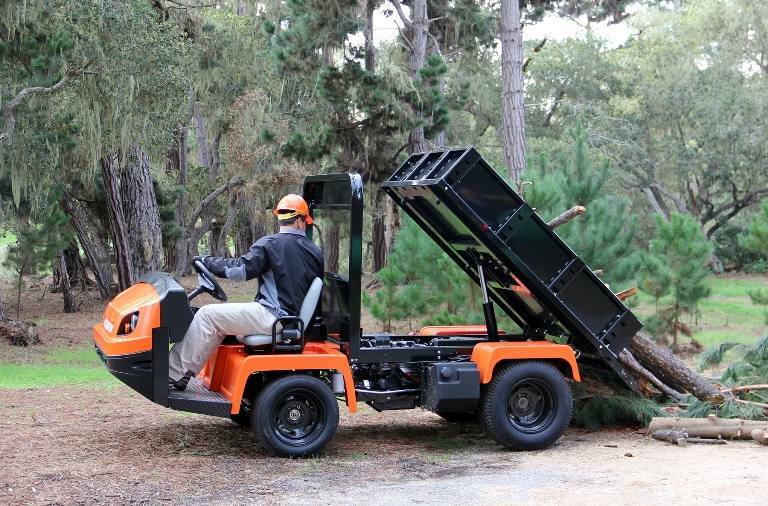 The all-new Jacobsen Truckster XD is designed to make your toughest jobs easier. Highest standard payload of 3,550 lbs - The largest payload makes quick work of your biggest jobs since fewer trips are required. Heavy duty rear differential was custom designed for the Truckster XD. Toughest box - is built using the heaviest gauge steel of any box, up to 75% thicker than comparable boxes and has 20% more volume. Rugged tailgate and latch with easy slam shut function. Built-in stake pockets and multiple tie down points create a box with the versatility to tackle all the jobs you expect from a heavy duty utility vehicle. Powerful Kubota engines with the highest HP and torque available - Both the gas and diesel engines have the highest torque available of any heavy duty utility vehicle (52.7 ft-lbs diesel and 51.6 ft-lbs gas). The high torque allows effortless hauling of the heaviest loads and towing up to 2,200 lbs without trailer brakes (3,500 with trailer brakes). Industry's roomiest operator platform - with more space for operators and well-organized controls within easy reach. The optional suspension seat provides increased operator comfort for everyday operation and for longer tasks such as topdressing or spraying. Highest approach angle - allows easy operation in the most undulated turf conditions. Brakes: Service brakes: Heavy duty hydraulic four wheel disk brakes with 10.7 in. disk. Parking Brake: Hand lever actuated disk brakes on rear wheels. Turning radius 4WD: 80 in.